Includes Color Treat Conditioner for radiant and healthy-looking color. 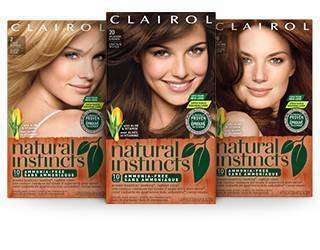 The Natural Instincts system is the healthier hair color indulgencea non-permanent, ammonia-free formula with aloe, vitamin and antioxidants. Hair, just like skin, is susceptible to environmental factors that attack the proteins in your hair, which can weaken the hair structure and ultimately lead to breakage. In most cases, this process is amplified when you color your hair. 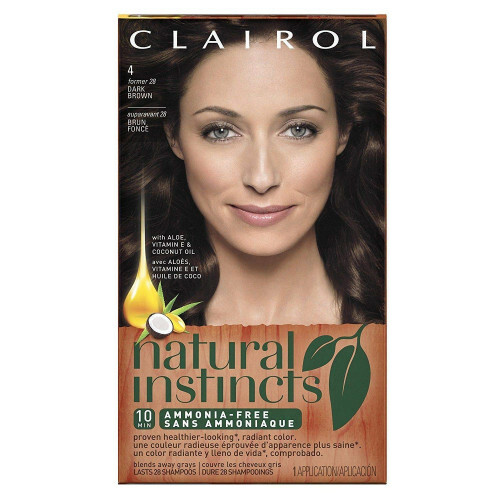 Our Natural Instincts system nourishes and protects your hair with clinically proven healthier color. The antioxidant properties prevent the formation of highly reactive, damaging molecules by helping to inactivate the metal ions that cause their formation. This leads to predictable color results and hair thats actually healthier-looking than before you colored. 1. Natural Instincts non-permanent Level 2 vs. leading Triple Protection permanent Level 3 color crme: based on amount of surface damage. 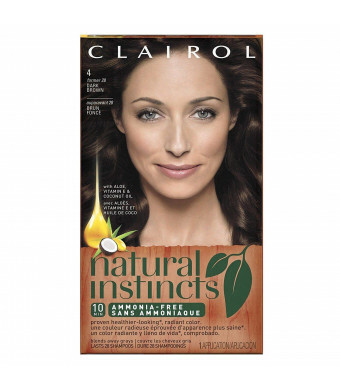 Compare Types of Clairol hair color.